Concerned parents have joined forces to persuade Oxfordshire County Council to withdraw its ‘Trans Toolkit’ from local schools. Subtitled “Gender is not just pink and blue”, the booklet labels the view that there are only two genders as ‘transphobic bullying’. Mum Tracy Shaw, first raised concerns when she was informed that her nine-year-old daughter would have to share changing facilities with boys. Working with other parents, Shaw set up a parents group, which believes that the trans schools guidance undermines parents, promotes the stereotyping of girls and boys and “asks teachers to put aside biological reality”. Since the group was set up six months ago, 97 parents have joined, and are working together to have the guidance withdrawn. One mum’s daughter was referred to a support group for gender-confused children by a teacher, who was concerned because the girl had short hair and wore trousers. 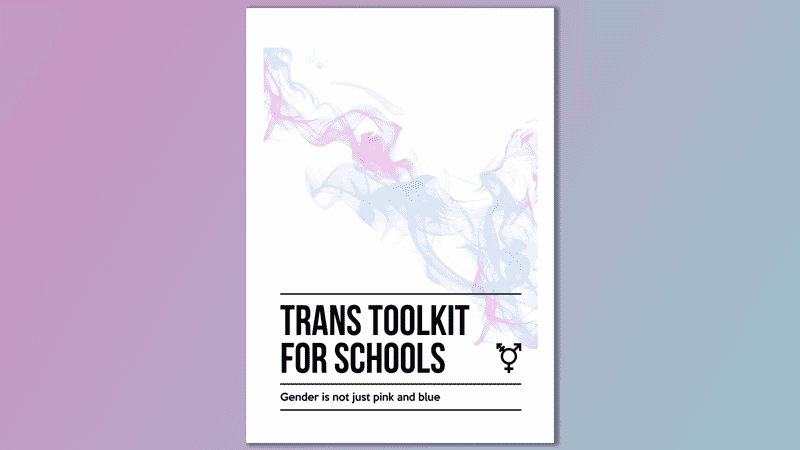 Amongst the toolkit’s advice is that schools should be on the lookout for ‘transphobic language’ such as “there are only two genders because you’re either born a boy or a girl”. The guidance urges schools to teach that gender is a spectrum using resources such as ‘The Genderbread Person’ and ‘Gender Unicorn’.